Savvy Spending: Amazon: MaidMAX Clothes or Closet Organizer for just $17.99! Amazon: MaidMAX Clothes or Closet Organizer for just $17.99! Amazon has this MaidMAX Clothes Organizer Storage Closet Organizer for just $17.99 (regularly $39.99)! This would be great to organize a closet! 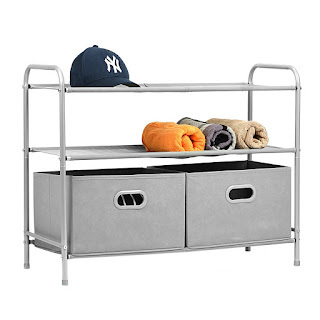 It has 3 Tier Shelves and 2 Collapsible Drawers! STUDY & DURABLE CONSTRUCTION: The frame of this Closet Storage Set is constructed of premium metal tubes, and each tube is connected with screws instead of plastic connectors. With a sturdy frame, it can hold up to 15kg (33lbs) of your necessities. The frame measures 31.77''L x 12.00''W x 24.92''H (807mm x 305mm x 633mm) in dimension. 3 BREATHABLE FABRIC SHELVES: The Shelves of this Closet Organizer System is made with soft, breathable and non-irritating non-woven fabric. The soft breathable fabric used as shelves keeps stored items fresh, clean and neat. 2 COLLAPSIBLE DRAWERS: This Organizer Collection comes with 2 collapsible drawers, each of which measures 14.69W x 10.98"L x 8.90"H (373mm x 279mm x 226mm) in dimension. 2 drawers with plastic handles well store your clothes and let you easily transport them. MULTIPURPOSE ORGANIZER: The Clothes Storage Organizer provides additional space you need in a utility room and is stylish enough to put outside the closet. 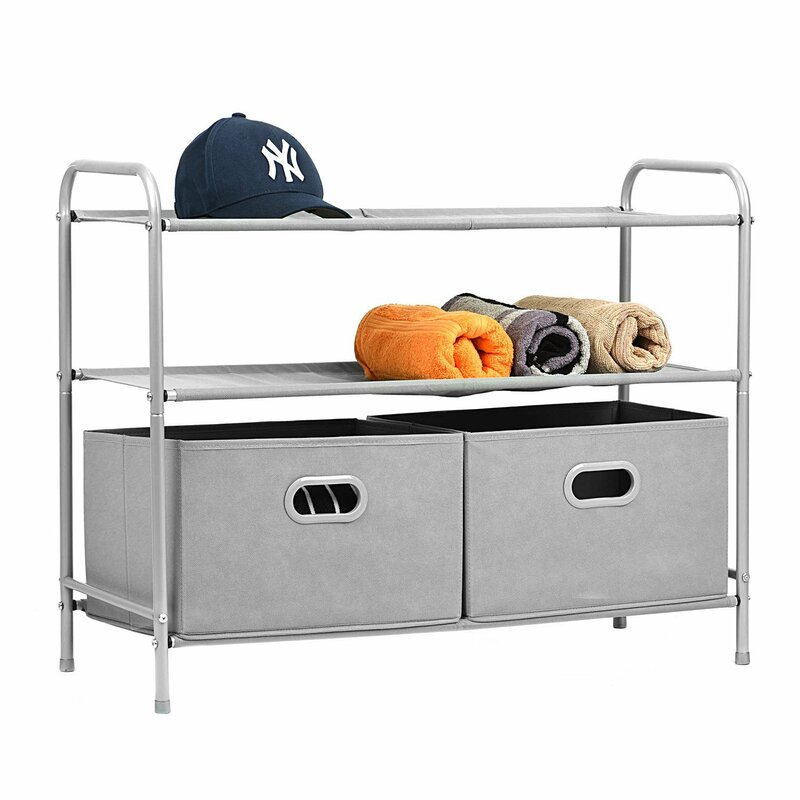 Just utilize it to organize your clothes, accessories, bags or shoes. EASY ASSEMBLY: This Clothing Organizer comes with everything required for assembly including the wrench and screws instead of more fragile connectors. It takes you only about 15 to 20 minutes to install.